Located near the future Siglap MRT Station and within an established residential estate with existing condominiums such as Mandarin Gardens, Fernwood Towers and Villa Marina. It is also close to the East Coast Parkway (ECP). 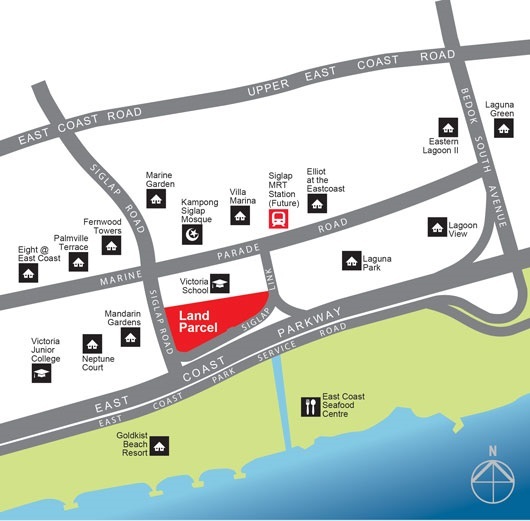 EIGHT bids have been received at a state tender for a plum 99-year leasehold private residential site along Siglap Road near the junction with East Coast Parkway and in close proximity to the beach. 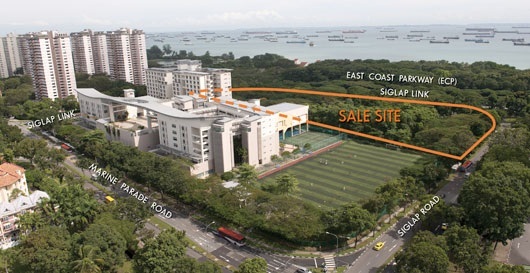 The highest bid of S$624.18 million or S$858 per square foot per plot ratio (psf ppr), from a consortium comprising Frasers Centrepoint unit FCL Topaz, Sekisui House and KH Capital. The second highest bid – from a tie-up involving units of Hong Leong Holdings, City Developments and TID Residential – was at S$600.12 million, which works out to nearly S$825 psf ppr. Allgreen Properties placed the lowest bid of S$477 million or about S$656 psf ppr. The site is a stone’s throw from the future Siglap MRT Station on the Thomson-East Coast Line. The station is slated for completion in 2023. The 1.9-hectare site is estimated to yield 750 private homes. The tender was conducted by Urban Redevelopment Authority. 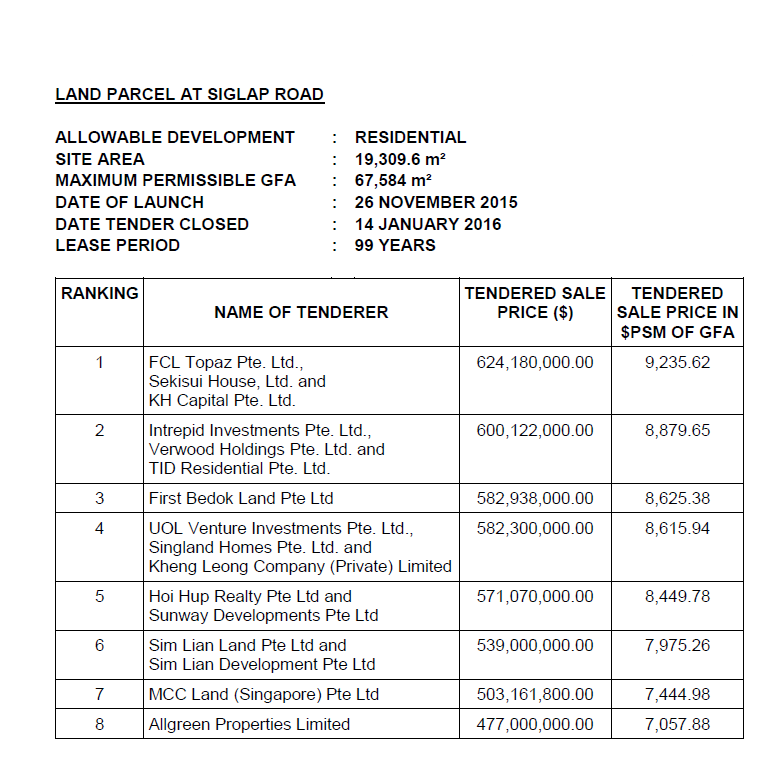 Why Invest In Siglap Road Condominium? For more information on Siglap Road Condominium, simply fill up your details below and our salesperson will get in touch with you shortly!